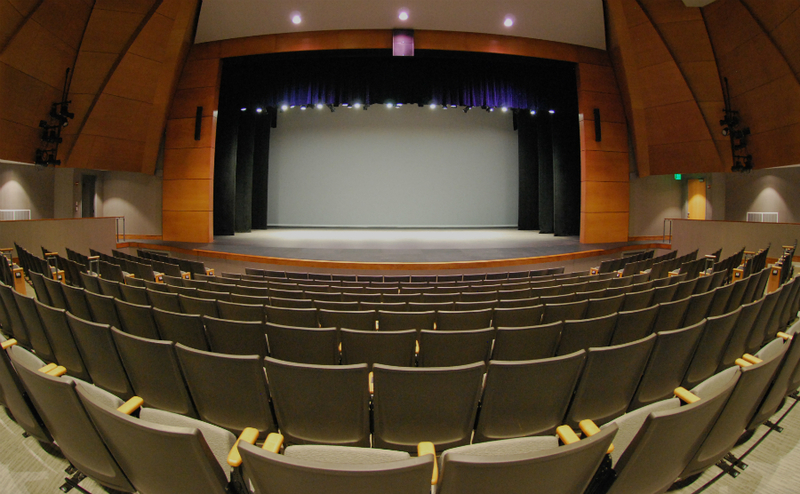 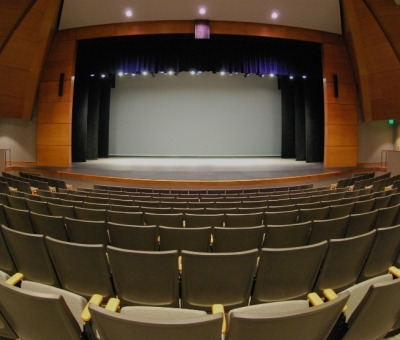 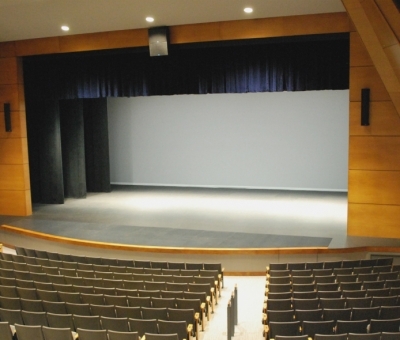 The stage flooring is our very own polyonyx+® performance flooring. 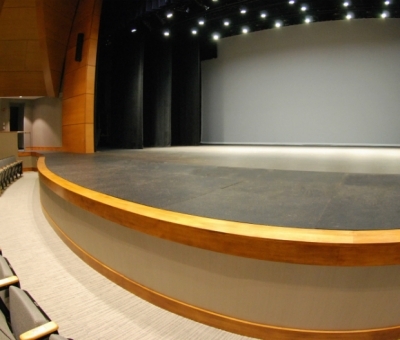 polyonyx+® provided an excellent surfacing solution for the new theatre. 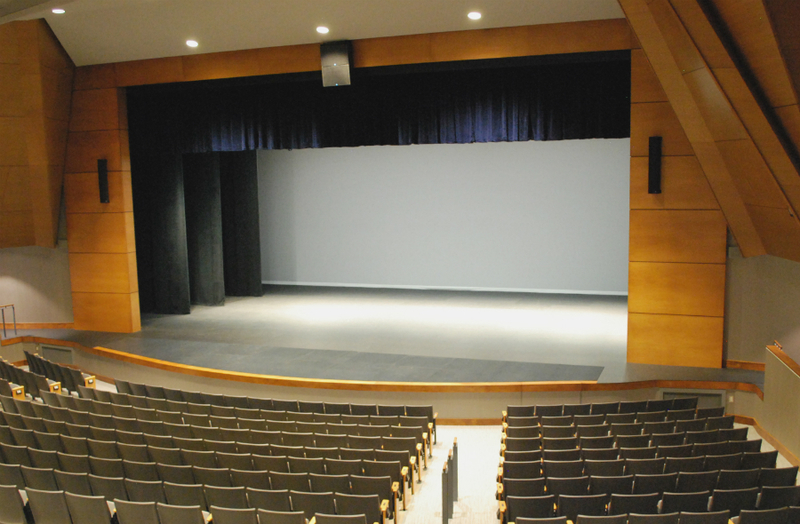 They needed a constantly black floor, and polyonyx+® provides a durable flooring that is inherently black, so it never needs to be painted. 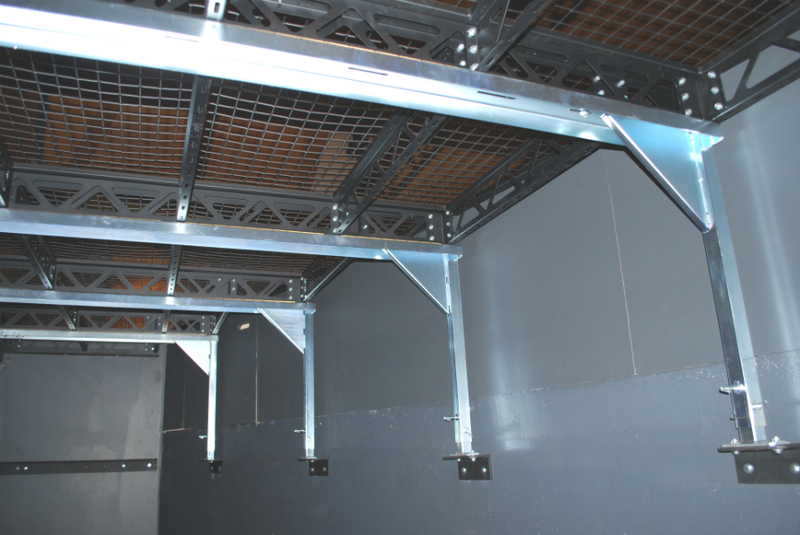 polyonyx+® was also used as a cover for our new pit filler, safepit®. 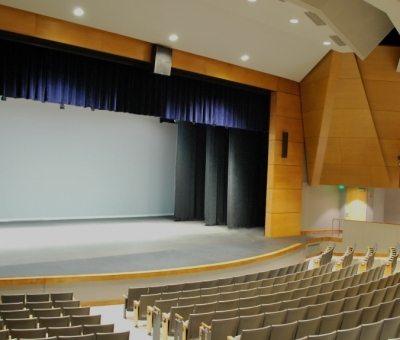 safepit+® is our newest innovation in stage technology. 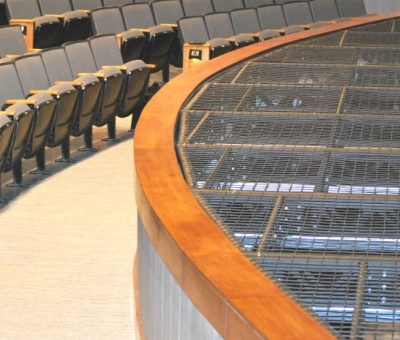 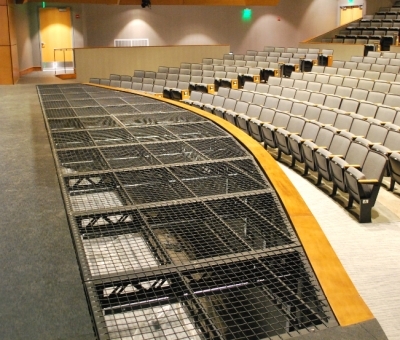 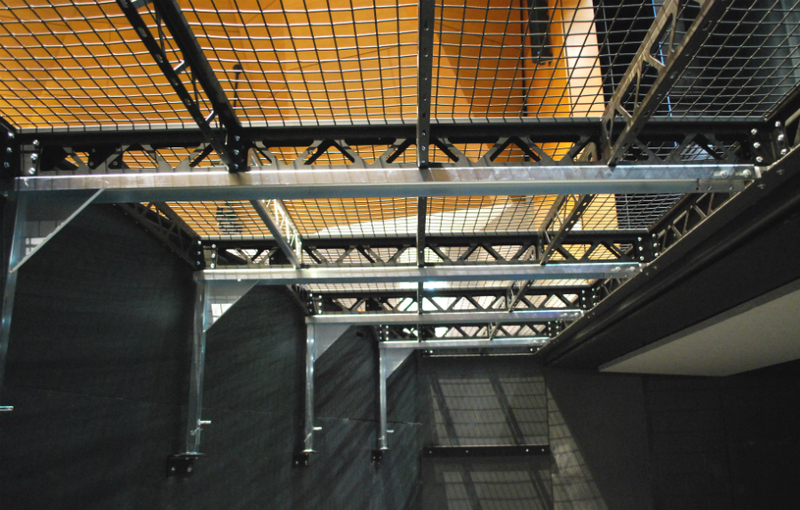 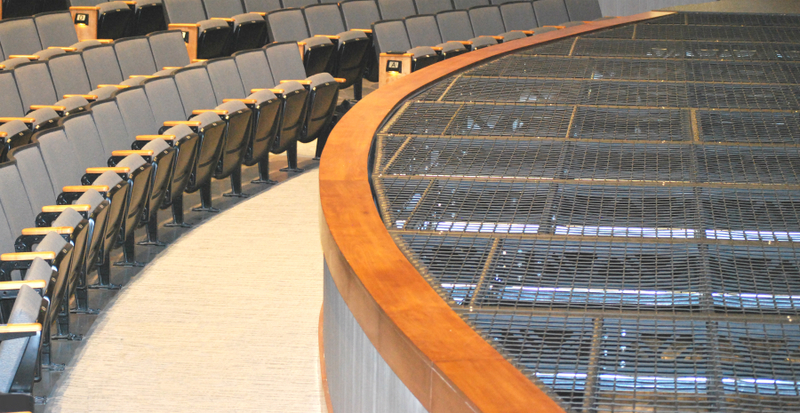 safepit+® provides a removable, walkable wire mesh barrier to cover the orchestra pit. 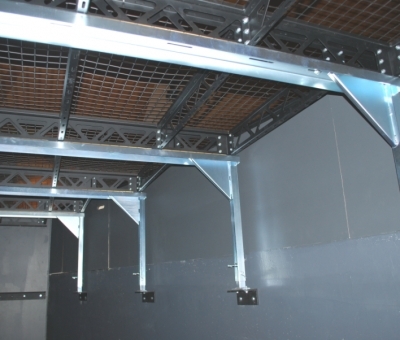 It is specially engineered to be fully supported without an excessive amount of legs and cross braces, so that the orchestra can still be in the pit even with the mesh in place. 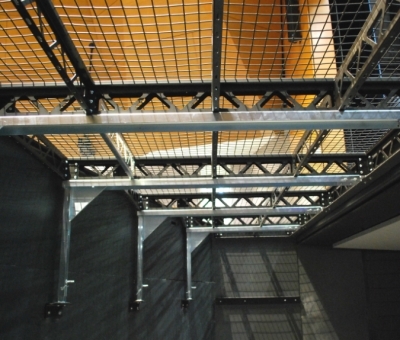 The spacing of the mesh is such that it does not provide a hindrance for light or sound coming into or going out of the pit. 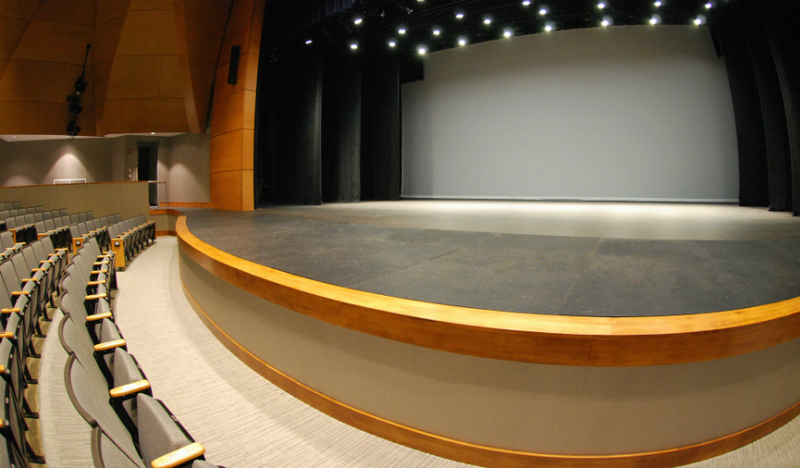 If covered with our polyonyx+® flooring when the pit is not needed, this provides a seamless extension of the existing stage area. 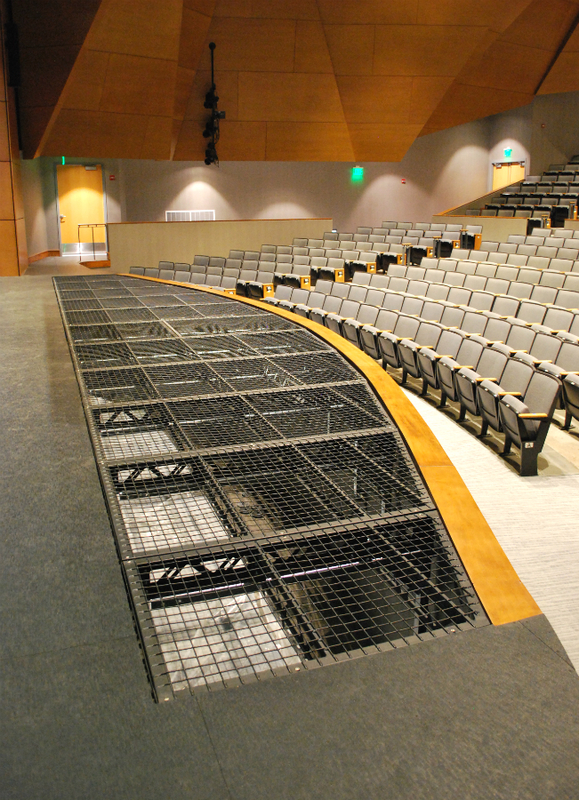 CCES does not have a pit lift, but our safepit+® can be used either at normal stage height or at seating height, to provide additional audience seating if desired. 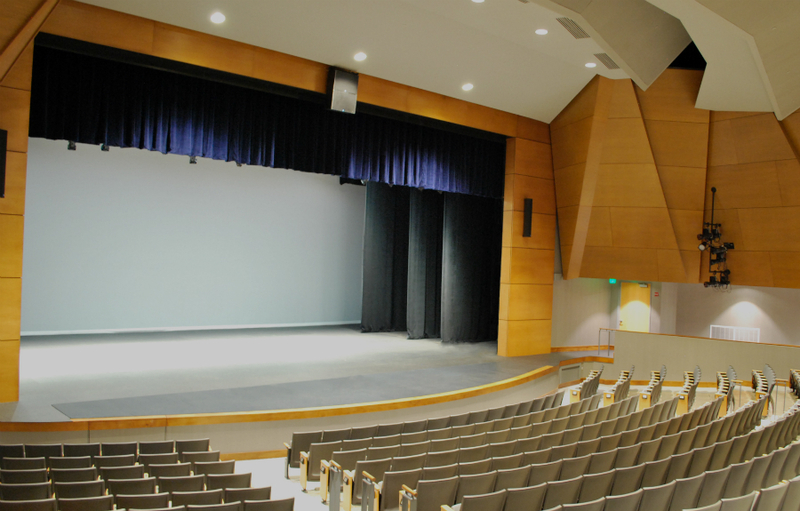 Productions Unlimited, Inc. is proud to have played such a major role in the completion of this new and wonderful performance space.